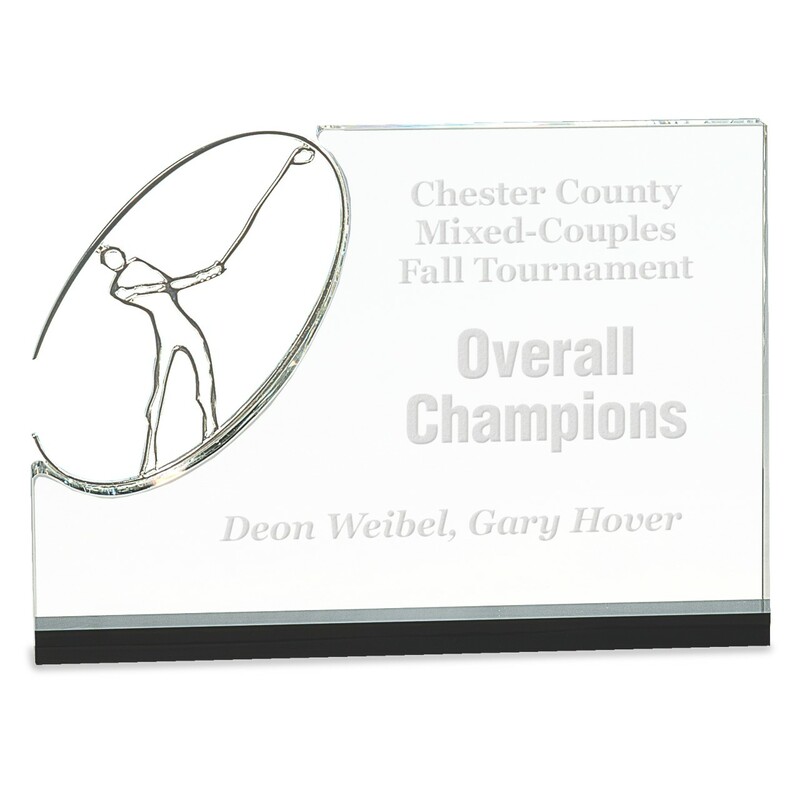 Recognize a great golfer with this fun and fancy trophy, fit to honor success at your golf tournament. The Swinging Golfer Crystal Rectangle Award features a golfer in mid swing and includes seven lines of frosted engraving, making this trophy a great personalized addition to your event. 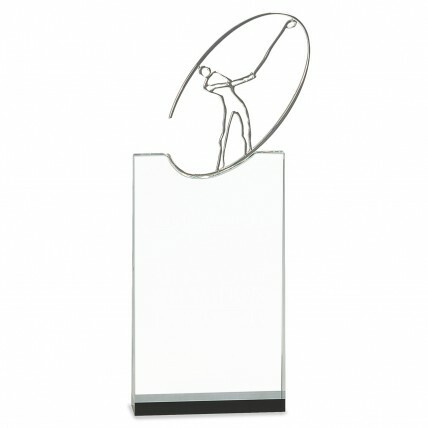 Available in horizontal, 4.5"x12", and vertical, 7"x10", this award is going to find joy in every recipient!